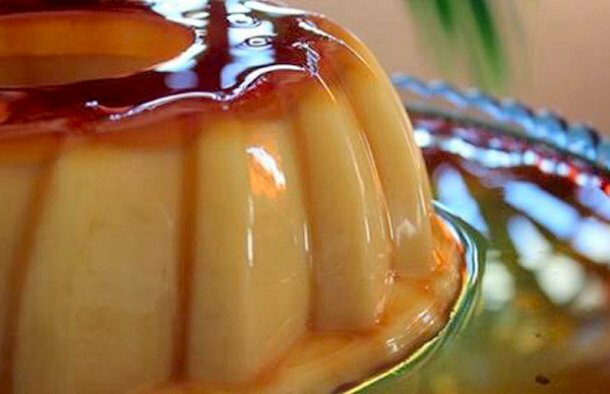 This delicious and simple to make Portuguese pineapple and milk pudding (pudim de ananás e leite) makes a great dessert. In a small bowl, add 1 and 1/2 cups of the water, bring to a boil and turn off the heat. Add the gelatin and stir until it dissolves, add the remaining water and let it cool for 15 to 20 minutes. In the meantime, grease a pudding form with the caramel. Add the condensed milk to the gelatine preparation and stir until a homogeneous mixture is obtained. Pour it into the form and place it in the refrigerator until solid. 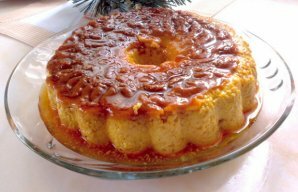 This Portuguese coffee flan (pudding) recipe (receita de pudim flan de cafe) is very easy to prepare and delicious. 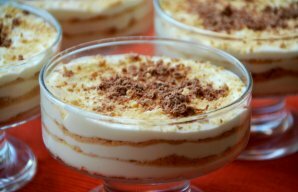 This Portuguese sawdust pudding recipe makes a dessert to die for, the main ingredients are Maria biscuits, condensed milk and whip cream. 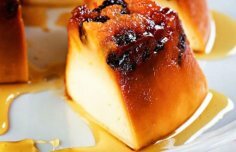 How to make Portuguese bread pudding (Pudim de pão).